Brunch N' Cupcakes: The Return of the Friday 5! The Return of the Friday 5! Who is ready for the weekend? I know I am! I felt I was long over due for a Friday 5 post! So here is my Friday 5, followed by a recap of this weeks pin recipes! 1- I am extremely excited that Saturday the weather is supposed to be beautiful! 91 degrees and sunny (not a cloud in the sky)! Time to bust out the swim suits and work on that tan of mine! 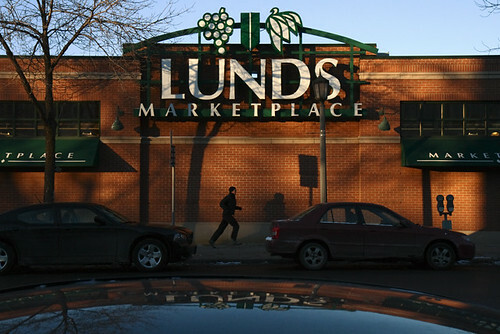 2-I am also really excited that in just 7 days a Lunds (local Minneapolis grocery store) will be opening up right across the street from my apartment! I plan on taking full advantage of this! 3- I need to buy one of these! I am obsessed with Spa Water, current flavor obsessions are pineapple and strawberry! The cafeteria at my office does 3 different Spa waters each day! The naturally flavored waters are a good change from plain old water! Target sells them online for about $20 check it out! 4- I am still lusting over these! 5- Currently Loving This Song! Now lets get on with that recipe review! I thought both recipes were excellent! 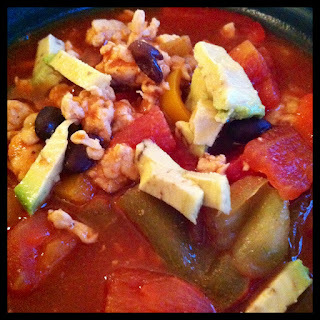 But lets start with Ready Set Eats Southwestern Soup! I made mine super spicy, and was happy with the result! Top with some avocado and a little greek yogurt and you have a quick and healthy meal! I also served warm whole grain tortillas on the side! 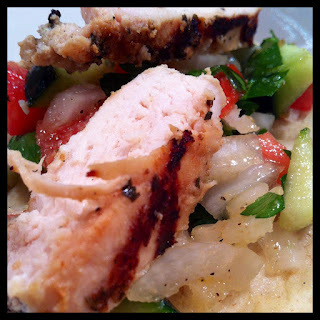 This recipe got a thumbs up! And moving right along to the Grilled Chicken Tzatziki Wrap from Style at Home! This got two major thumbs up! For our first time grilling, I think the chicken turned out excellent! I loved the cucumber relish! I thought the crisp cucumber added a fresh taste to these wraps. I also made a simple Tzatziki with a little greek yogurt to dollop on top! I am for sure making these again! Well there you have it a recipe recap and a Friday 5!